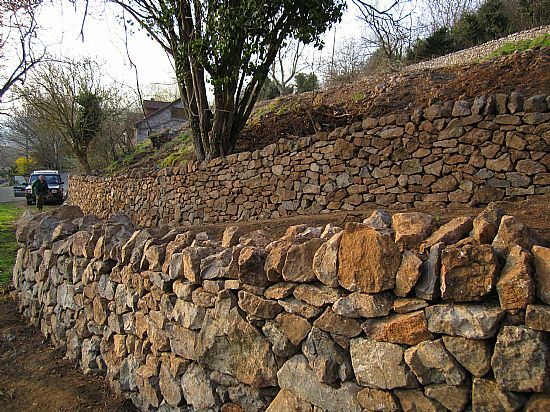 Being Dry Stone Walling Association Professionals; our customers are assured of a very high Quality of service. 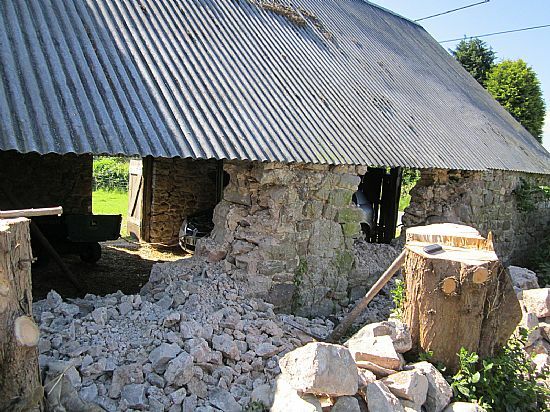 All our work is guaranteed to stand the test of time. 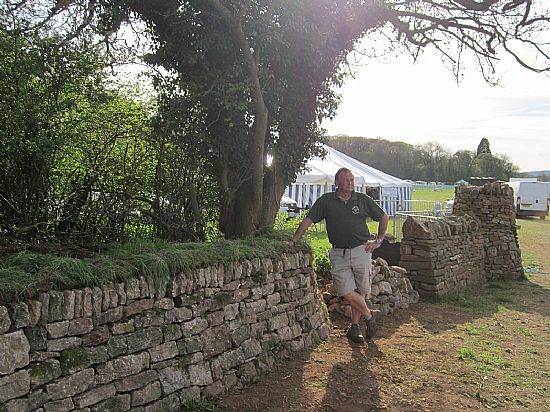 Dry Stone Walling is not just a job; to us it’s a way of life, something we take very seriously. 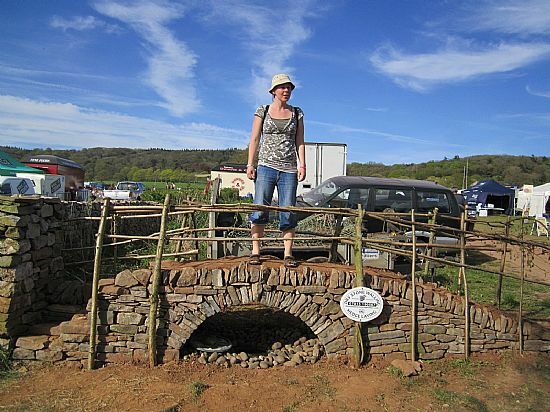 A dry Stone Bridge, built for the 2013 North Somerset show. The bridge remained in place, for the Somerset school days, some weeks later, and to date, over 2000 children and adults have crossed over it. 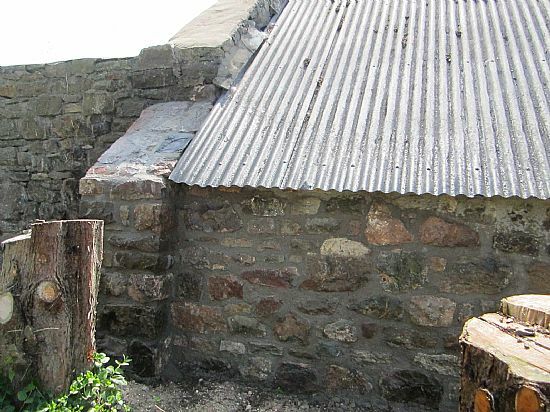 Some of the Mendip Dry Stone walls, that were rebuilt with our Bursaries Placement, in the Cheddar area. 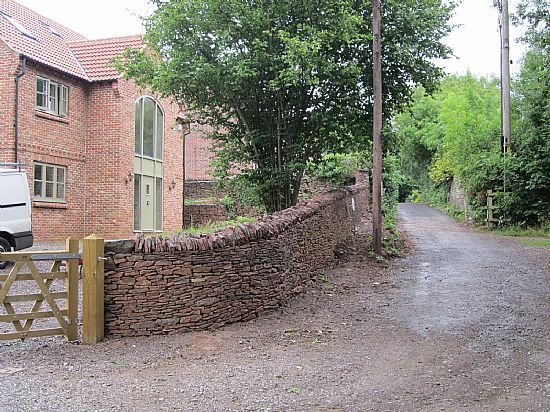 A Sand Stone Pennant wall, rebuilt at the front of a new development in Downend Bristol. After seeing our work at the North Somerset Show Ground, Steve Cave, One of the South West leaders in bespoke building, commissioned us, to match the quality of the house he had just built for himself. 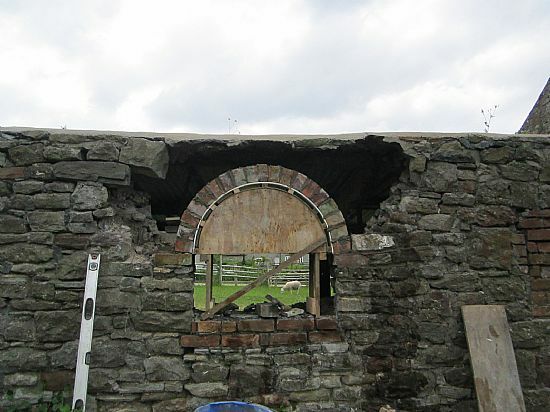 A turn of the century barn wall, taken down due to excessive leaning. 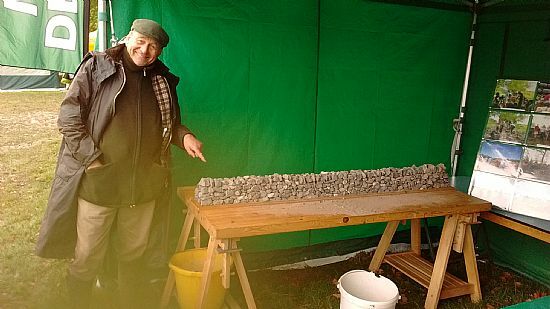 Somerset’s traditional Country man Les Davis (MBE). 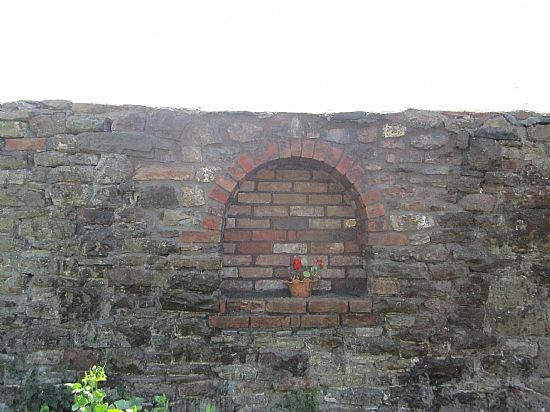 Gives our children’s mini wall the thumbs up. Les pioneered the ideal some years previously. So the credit is all his. These are just a few of the projects i have highlighted, to give a feel of what works we undertake. 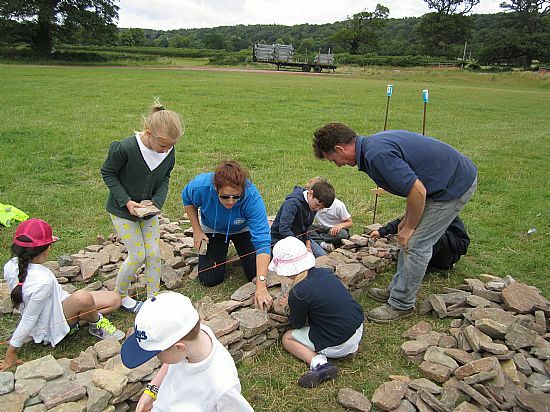 As well as building walls and features, We travell extensivly, working alongside highly skilled wallers and Masons, so we can continue to pass on newly aquired skills, when teaching in the field.